Gutters are necessary during what season? Gutters are necessary during what season? Gutters are important year round. It’s easy to forget about gutters when you’re feeling the Texas heat but as the old saying goes, “When it rains it pours.” It sure does! When the rain starts, the swift floods follow and if you do not have a properly working gutter system installed on your home you may encounter costly structural water damage to your home. Gutters prevent landscaping erosions, cracked foundations, and more. 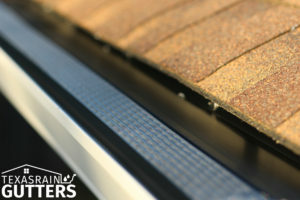 At Texas Rain Gutters, we understand it’s easy to forget about gutters until you need them. It’s our job to help you remember to install and maintain a properly working gutter system. Of course, we recommend a monthly gutter check but a quarterly check-up is fine. Call today for more information and to schedule a free estimate or an inspection of your gutters. You’ll be glad you did.